The idea of equivalency in fractions is a foundational concept. Students must have a good grasp of this important idea in order to learn more complex fraction skills, such as simplifying, finding common denominators and performing basic operations with fractions. 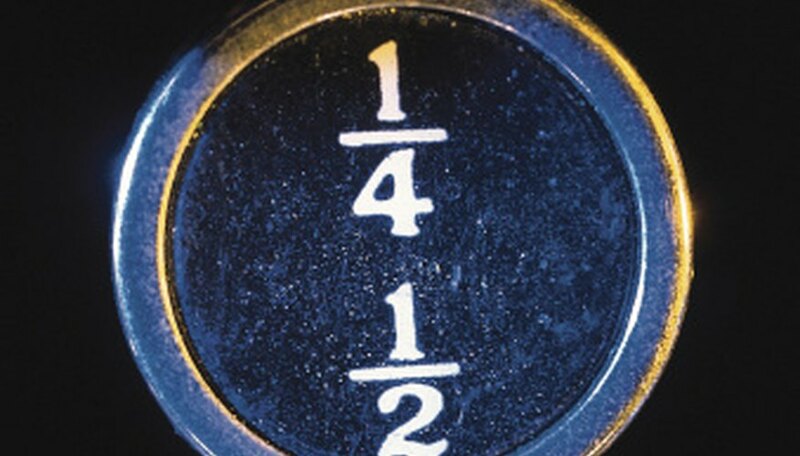 Many concrete experiences help most students internalize this idea that fractions can have different names and still represent identical portions of the whole. Begin instruction about equivalent fractions with concrete examples and activities. Students who are inexperienced with fractions or those who need additional help will benefit from the real life connections. Many foods can be cut into parts, then cut again to show the relationship between halves and fourths, thirds and sixths and so forth. Some foods, like dough, can be recombined to show equivalencies. Instruction should also include work with dividing groups of items such as candies into fractional sets and recombining them to create equivalent fractions. Be sure to make connections between the concrete fraction demonstration and the written representation. Cut identical shapes from cardboard and split each one into different fractional parts. Students will be able to lay two one-fourth pieces onto the half piece to prove that they are equivalent. A fun game can be created by putting pieces of several identical shapes into a bag. Make sure the pieces are from related fractions, such as halves, fourths and eighths or thirds, sixths and ninths. Have players take turns choosing one piece at a time and see who can assemble a complete figure first. Fraction strips are identical strips of paper marked with lines that show fractional parts. For example, a fourths fraction strip should be divided into four equal sections. Lay one fraction strip under the other and line up the ends. Equivalent fractions will have marks that line up exactly with one another. 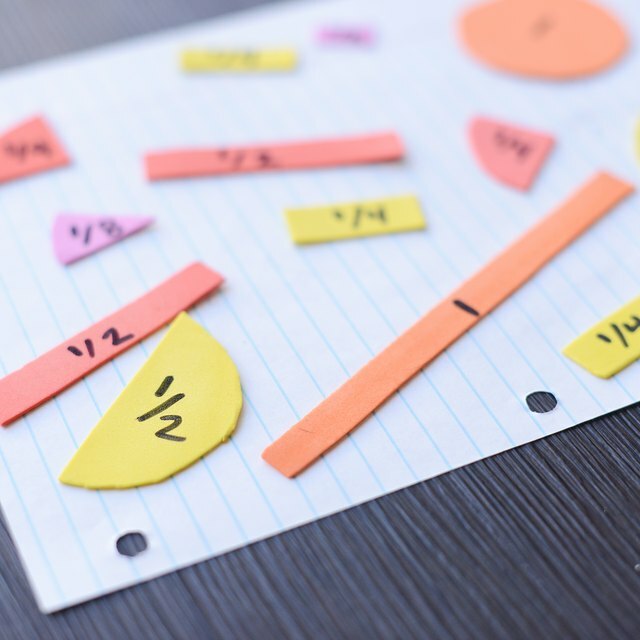 Use the fraction strips to compare fractions for equivalence by laying the correct strips together and checking to see if the lines for the two fractions end up at the same place. The two-thirds line on the thirds strip will line up exactly with the four-sixths line on the sixths fraction strip. Students will need to practice recognition of equivalent fractions without using concrete aids such as fraction strips. Play Fraction Rummy by putting equivalent fractions on cards to match. Start with common lowest-terms fractions such as 1/2, 1/3, 2/3, 3/4, and 1/5. Make at least five equivalent fractions for each lowest-terms fraction on other cards. Shuffle and deal five cards to two players. Put the remaining cards face down on the table and turn one face up. Players take turns choosing one new card from either pile, checking their hand for matching fractions, and discarding one card onto the face up pile. When a player collects at least three matching fractions, they may be laid down for points. Fleming, Sandy. "Hands on Math Activities With Equivalent Fractions." Sciencing, https://sciencing.com/hands-math-activities-equivalent-fractions-8206234.html. 24 April 2017.